Now that you’re a Christian, what’s next? The life of a Christian is built on the foundation of the Word of God. The Bible Study courses in City Harvest Church help you understand biblical principles and teach you how to apply them in your daily life. 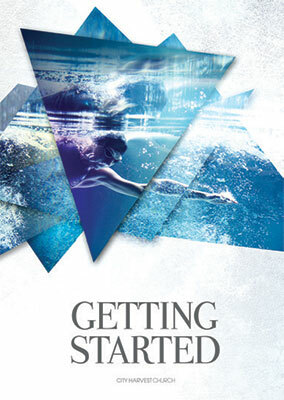 Start your journey with one of these courses today! Welcome to City Harvest Church! 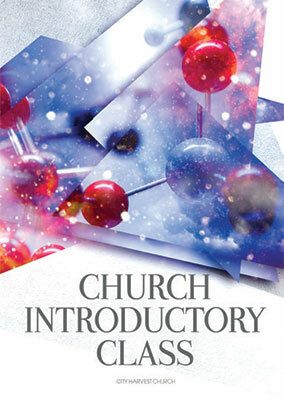 In this first Bible Study module, you will be introduced to our warm and exciting church family. Over the four weeks, you will learn about the ABCD of CHC. They include our Assurance of faith, Beliefs, Church structure and Direction. You will understand the three pillars upon which CHC is built, and our DNA, which translates into our lifestyles. This is a four-week teaching series. In this module, we want to introduce the new believer to the basics of the Christian faith. You will learn about God’s Plan for Salvation as accomplished by Jesus and our response to His plan. The new believer will also be introduced to the Person of the Holy Spirit and Father God. You will also understand the significance of Water Baptism and Baptism in the Holy Spirit. The pursuit of God is the whole purpose of life. The Christian lifestyle is one of ever deepening devotion to God. We will look into the Scriptures and learn how a Christian should relate to God on a daily basis. How do you come into God’s presence? Once you are in His presence, how should you commune with the Lord Jesus? This module will answer all these questions. This is the second part of a two-part module. 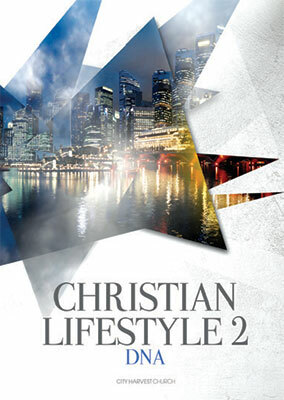 It expands on the biblical DNA of City Harvest Church in greater depth, from the Word of God. What is your mission in life? What is the primary purpose of Christ, and therefore the goal of a Christian? How should you live for Jesus? How could you become more like Him? How should you serve Him, especially in the context of a local church? 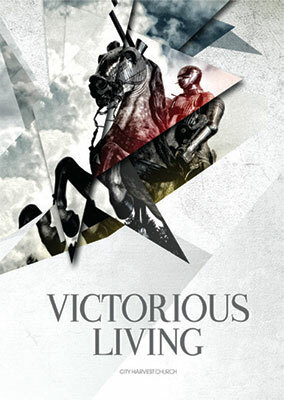 We are destined to live a life of victory in our world today. Having a proper understanding of what Jesus accomplished for us on the cross will help us position ourselves for victory in our lives. You will also learn to move in the power of God by waging effective Spiritual Warfare, and in areas like Divine Healing and Deliverance. The Bible compares the spiritual growth of a Christian to the construction of a building. The most important feature of any building is the foundation. Psalm 11:3 says that “if the foundations are destroyed, what can the righteous do?” Having noble intentions alone is never enough. 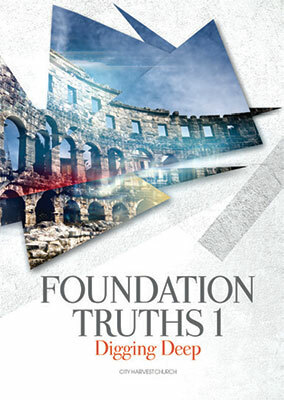 Your life must be securely built upon the foundation truths and doctrines of Christianity. Without a clear understanding and application of these doctrines, you would eventually lose your devotion to the Lord Jesus Christ. 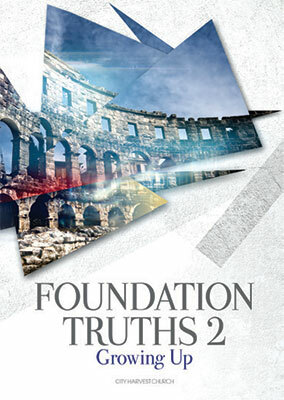 In this first instalment of a two-part series, you will start your study on the core foundation truths as outlined in Hebrews 6:1-2. In this concluding series of a two-part module, you will study the foundation doctrines that Christendom was built on for the last 2,000 years, that have helped it to weather through the millennia. These doctrines are what distinguish us as “Christians” and “followers of Jesus Christ.” Without them, you will never grow into spiritual maturity. It is one of the most important modules for every genuine believer. Once you have laid the basic foundation truths in your life, how can you now grow into spiritual maturity? In this module, you will be introduced to the Tabernacle of Moses. As we learn about the significance and symbolism of various areas and each piece of furniture, you will be amazed to see God’s plan for redemption and sanctification unfold powerfully in your life, and you will be on your way, not just to become a stronger Christian, but also to grow into the fullness of Jesus Christ. 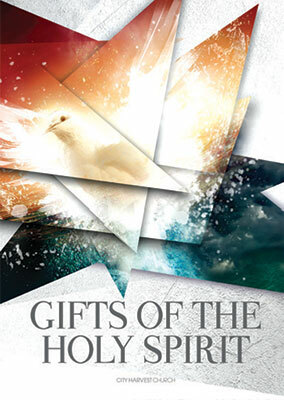 Embark on an exciting and supernatural journey as you learn about the “Charismata” and in particular, the nine supernatural gifts of the Holy Spirit. You will learn how to receive and apply them. Discover and recognize the gifts that God has specially placed in your life to equip you for daily living and ministry. You will understand hindrances to living in the fullness of the Spirit, and learn how to live a powerful and supernatural daily life. 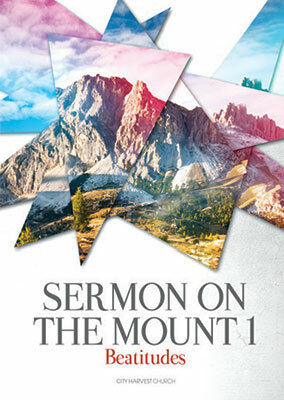 The Sermon on the Mount is the most famous and powerful exposition Jesus had ever preached. The three chapters from Matthew 5-7 may take only 10 minutes to read through, but a lifetime to study, understand and live out. In SOTM 1 (Beatitudes), you will learn about the attitudes of the kingdom. Your attitudes are the “heart” within your heart. It is the real you! Your attitudes are so sacred that no one (not even God!) can overrule it. It is the most genuine expression of your perspective about God and of your love for God. In this course, we will see Jesus outlining the eight kingdom attitudes that will guarantee the approval and blessings of God in our lives. 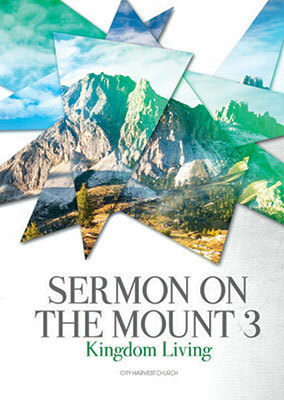 St. Augustine described the Sermon on the Mount as “a perfect standard for the Christian life.” Dietrich Bonhoeffer’s classic, The Cost of Discipleship, is based on this sermon. 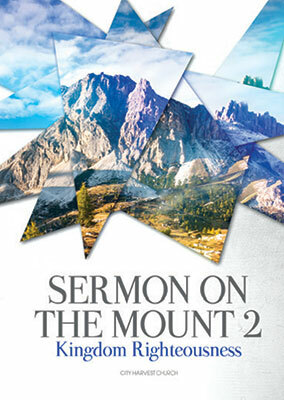 Martin Lloyd-Jones’ greatest life work was the Studies in the Sermon on the Mount. In SOTM 2 (Kingdom Righteousness), you will learn what it means to be salt and light, and Jesus’ definition of righteousness in God’s kingdom. You will understand what Jesus means when He wanted believers to exceed “the righteousness of the scribes and Pharisees.” You will cover issues concerning anger, divorce and remarriage, and the inner righteousness God wants to see in the hearts of Christians. If one truly embraces and understands the Sermon on the Mount, the person will never embrace shallow or superficial Christianity ever again. In SOTM 3 (Kingdom Living), you will get into the mind of Jesus Christ on His thinking regarding genuine kingdom living. How could your devotion and spiritual discipline bring the approval and blessings of God? You will understand the consequences of the decisions and actions we make in life. You will find clarity on what are the true treasures, visions, devotion and ambitions of genuine kingdom living. This is the final instalment of the three-part SOTM series. This module is a marital workshop designed for those who have been married for three years or more, to strengthen their love and devotion for each other. You will learn of the biblical institution of marriage, roles and responsibilities of the husband and wife, and how to effectively continue to meet the needs of your spouse “the Bible way”. You will also develop deeper understanding of your marriage through practical dialogues and open heart-to-heart sharing sessions each week. Whether you come by yourself, or come with your spouse, these classes will help you rekindle the love in your marriage and make it even stronger. 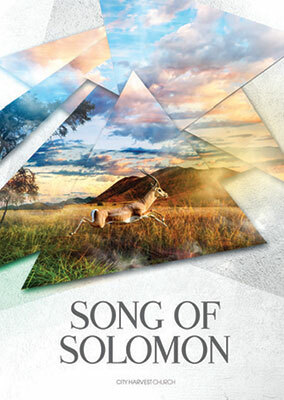 The Song of Solomon is a moving love story about a young country girl and King Solomon. 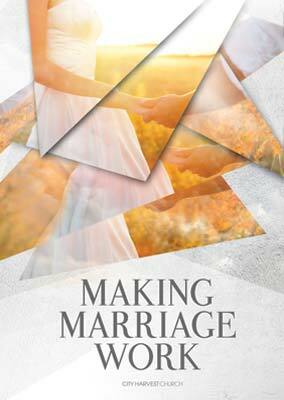 Many have used this book as a manual for dedication, commitment and sexual relationship in a marriage. However, in this course, we will study the book as the relationship of Jesus and His Bride, the Church. We will look at the various stages of love in the Christian life and ministry, and explain how a believer is brought from a position of intense need to a place of complete satisfaction. This study is for those who are really serious in their lifelong walk with the Lord Jesus Christ. When God created man and put him in the Garden of Eden, He gave him the responsibility “to tend and keep it” (Gen. 2:15). In Latin, that is the world cultura from which the English word “culture” is derived. Long before the Great Commandment and the Great Commission were given, man was entrusted with the Cultural Mandate, to create and do culture in the world that God had placed him in. But doing culture involves engaging a broken-down, fallen world, with all its immorality, greed and temptations. How can we do that without losing our conviction and consecration? How do we bring Christ into culture when we are supposed to be separated from everything worldly? Is innocence or naivety a Christian virtue that preserves purity? 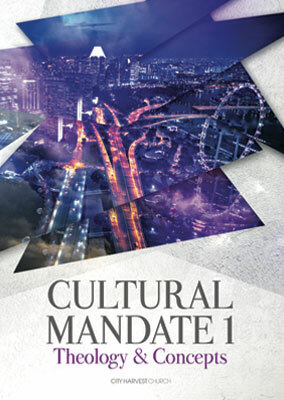 In this first instalment of a two-module series, you will learn about the theology and important concepts of the Cultural Mandate. Eminent theologian John Stott calls this the “Great Paradox of Holiness,” that the God who has saved us and sets us apart is now sending us into a sinful and fallen world. Stott says that every church and every Christian must know how to walk in “holy worldliness” — a holiness that is not unworldly, and a worldliness that is not unholy. Holy worldliness is the intentional living of the life of God in a broken-down world, amidst a fallen people. Engaging culture will invariably involve the marketplace of society, especially in the realm of popular culture (or “pop culture”). As Christians, how should we handle and engage the arenas of music, movies, novels, fashion, sports, arts and entertainment? How do we practically usher in the character and presence of God in a postmodern world that seems to be against anything moral or godly? 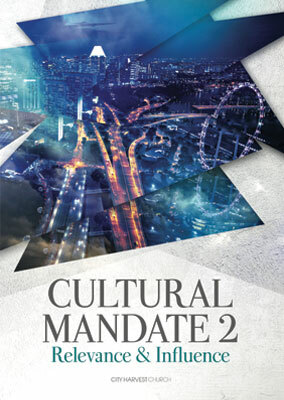 In this second instalment of a two-module series, you will learn what the practical aspects of the Cultural Mandate are. 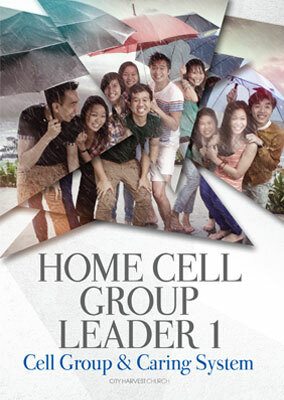 This series is the first of a two-part module on cell group leadership. The cell group is the place where a believer learns to grow in God and how to relate to other believers. You will learn how to practically plan and organize a high quality cell group meeting. How do we effectively show the love of Jesus Christ to the lost and unchurched? One of the most practical strategies of growth that CHC employs is the Caring System. This is the process of winning the unchurched through a definite and workable plan. But how does the Caring System work? 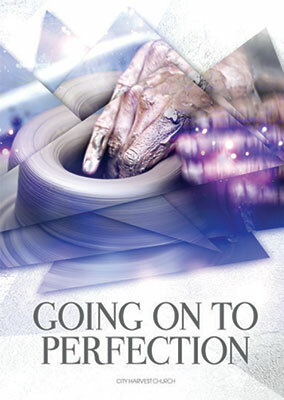 This series explains the secret of the CHC revival, which started as a cell group in the late 1980s. Leadership is all about influence. Everything in life rises and falls on leadership. Good leaders take people forward while bad leaders bring people backwards. 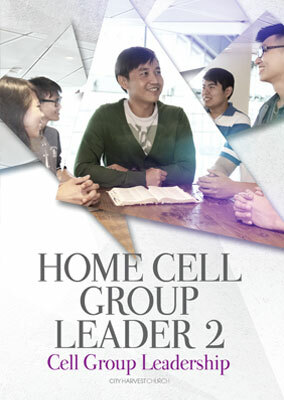 In this second module on successful home cell groups, you will learn about being an effective and caring cell group leader. What does leadership entail? How do we shepherd our flock like Jesus? How can we become inspiring and anointed leaders? What are the pitfalls of ministry? This series is absolutely necessary if we want to be equipped to lead a cell group.